Explore the history of the city from a lettering perspective! 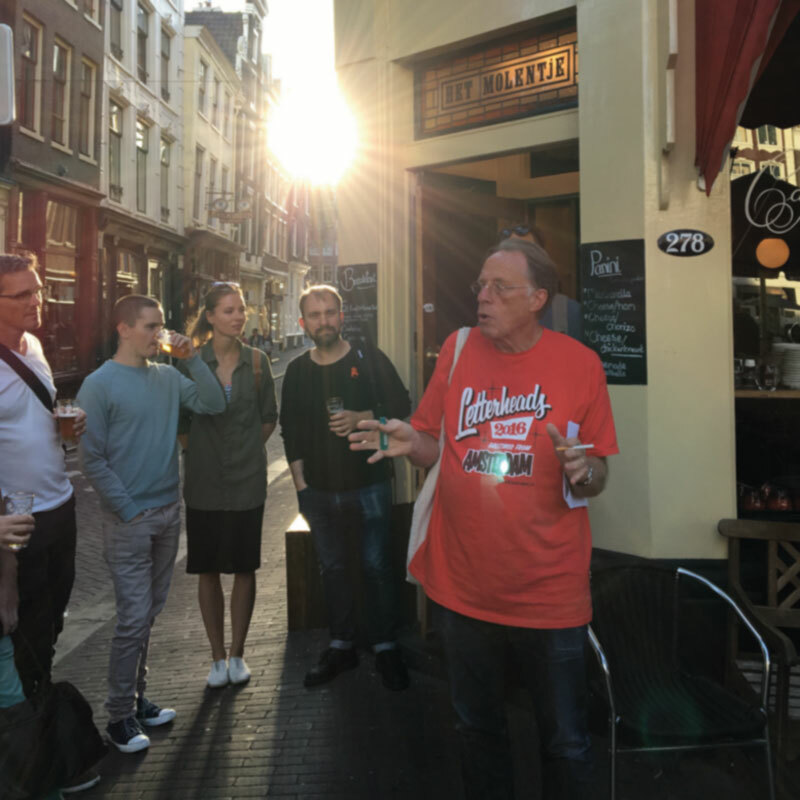 On Saturday 16 and Sunday 17 February, we organize a walking tour through the center of Amsterdam accompanied by typographer and type designer David Quay. Participants are guided through all sorts of wonderful letters in the historic center of Amsterdam. In various, often carved out of stone, texts and words tells David (art) historical background and shows the beauty of well-designed characters which are often an integral part of the architecture. Forms of letters are often defined by cultural currents. Interesting for anyone who loves design and architecture and also a nice way to explore Amsterdam. Also for local people is quite interesting to see their own city in a different way. Because of the high demand, we organize an extra tour on Wednesday 27 February 2019. Tour is with 15 to 20 people. Tour starts only with enough registrations. More than 5 tickets? Contact us. Refund ticket to 2 days before the event. Refund cost €2. Typeface: KLF Kade by David Quay. An ode to Holland. More about the history of the font you can read here. 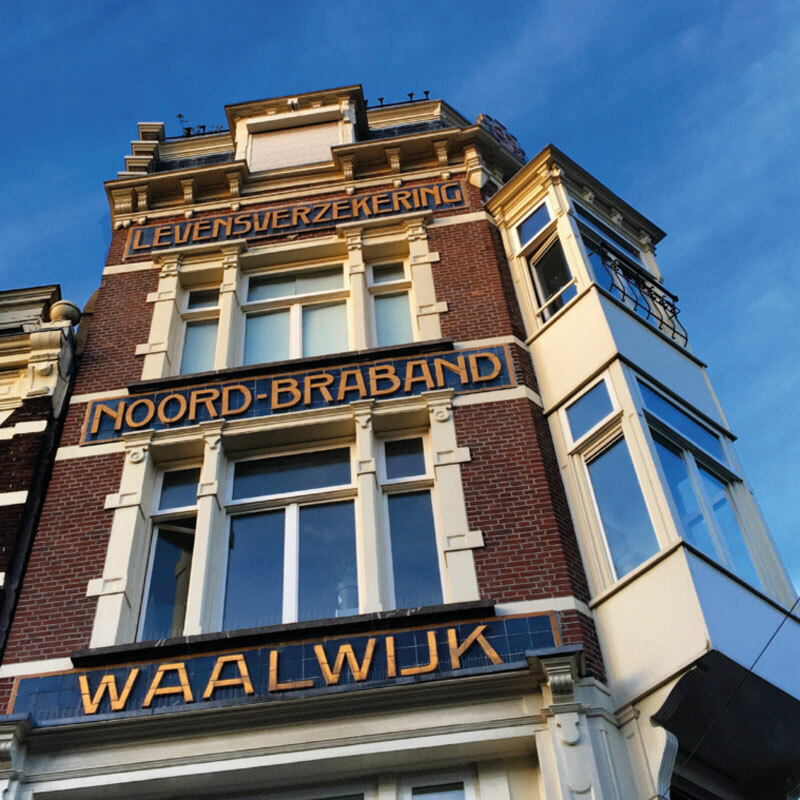 We work on several new Type Tours in cities like London, Barcelona, Delft, Budapest, and Antwerp. Be the first to know! ©2019 Studio Thomas Dahm. Payments via Mollie, terms.